Discussion in 'Builder's & Retailer's Forum' started by dougk, Apr 14, 2019 at 11:34 AM. Oriondk, Timbre Wolf, Frater B and 1 other person like this. Frank Manufo get your gear money ready and come up to Sac! Sweet! I'll bring my checkbook. It was so fun at the last get-together at the shop. Looking forward to going back! Give me a call tomorrow and we *might* be able to make that happen by KauerFest for pick up. We'd have to start like tomorrow though. Don't have a Kaur, but watching just the same. 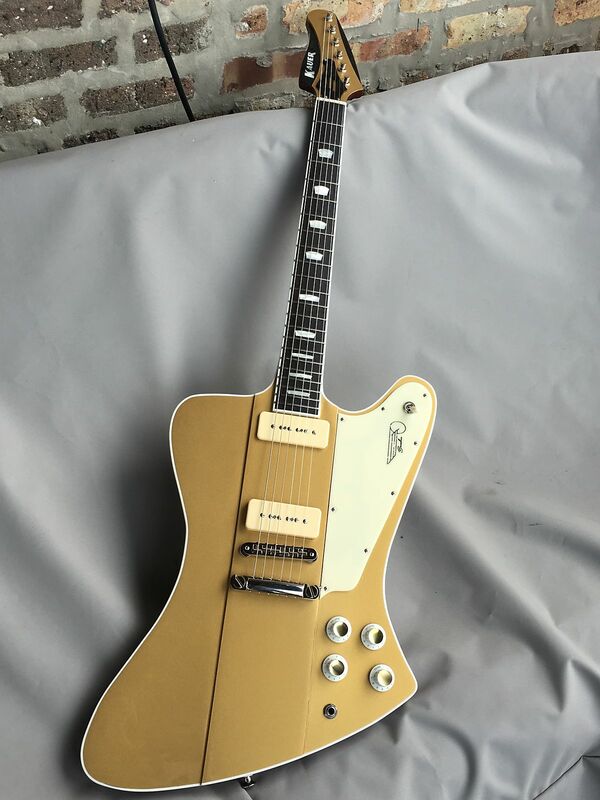 Mother of god, that champagne colored 'bird is gorgeous. Where have you been all my life, Kauer guitars?! They are amazing playing and sounding guitars. Make sure and check out the cherry burst banshee deluxe shots. Pfft what's an 8 hour drive. We should have a dunk tank. 5 bux a toss to try to dunk the moderator. 4 bux if I've given you an infraction. Payable to Doug for a 'build big mike a starliner jr fund'. I may have to try to make this. Wish I were slightly closer.